I have a bit of a secret – naturally my hair is a dark mousey brown which tends to go wavy and fuzzy. I say it’s a secret because I highlight and straighten my hair into submission on a rather regular basis, so I’m always on the lookout for products which will make my secret a whole lot easier to keep! 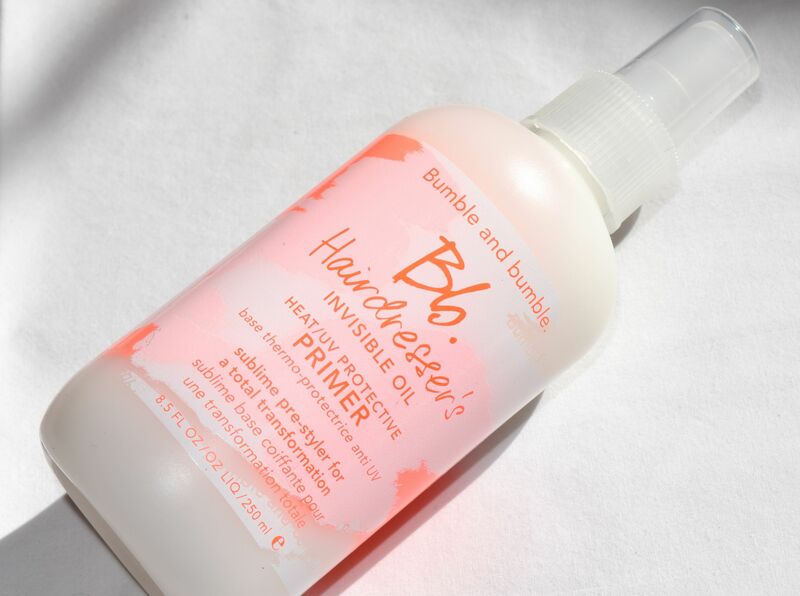 Bumble & Bumble’s Hairdresser’s Invisible Oil Primer is an absolute game changer of a product. After shampooing and conditioning my hair, I press out the excess liquid with a towel, then liberally spray the primer over my mid-lengths and ends. The formula has a light almost milky consistency, and I adore the scent – it’s somewhere between floral and coconut, and it just disappears into your hair. 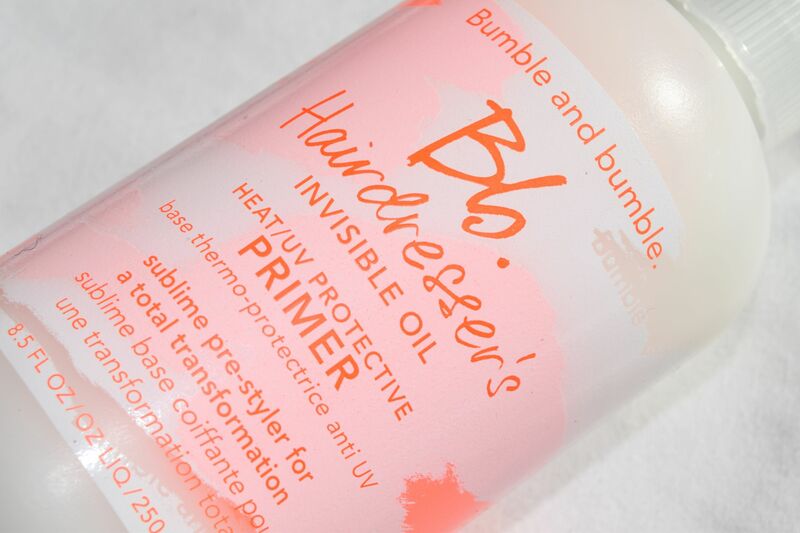 The Primer is also a Heat and UV Protector, which means it’s perfect if, like me, you completely heat-abuse your hair. My daily blow dry and straightening doesn’t stand a chance against the primer. It works like magic to smooth my hair, adding shine, smoothing the hair cuticle and really softening up my ends. After using the Primer, my hair feels amazing. A couple of squirts of the stuff means that my hair feels stays super soft, shiny and tidy all day. Not even a gym session or rather hectic day at the office can fuzz my hair up! I’m keeping the bottle in my everyday box for summer too! The UV protection means that no matter if how long I’m out and about in the sun,my hair is protected from damage and fading! Yay! I’m so glad you like it too!